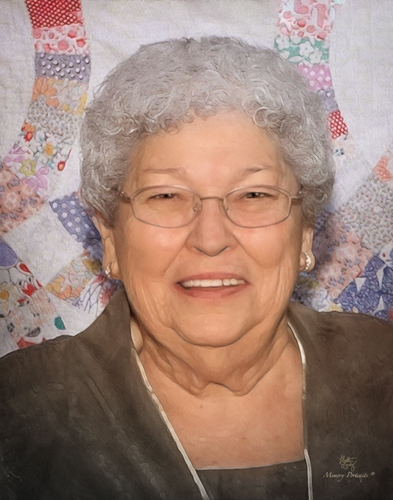 Imolee June Buck, 87, of Buckskin, passed away Wednesday, April 10, 2019 at North River Health Campus in Evansville. She was born January 19, 1932 in Gibson County to the late Isaac and Nellie (Thompson) Helsley. She retired in 1990 after working 34 years for Hansen Mfg. Co. and the former Potter & Brumfield, both in Princeton. She was a member of St. John’s Church of Buckskin. She is survived by her two children, Dirk Buck (Patti) of Evansville and Dana Buck (Linda) of Buckskin; four grandchildren, Ashley Henehan (Ryan), Christian Buck, Kim Wilder and Kevin Kirsch (Kari); five great grandchildren, Jailyn and Jerzi Wilder, Faith and Isaiah Kirsch and Ryleigh Buck Henehan; a sister-in-law, Retta Gentry of Somerville; also, many nieces and nephews. She was preceded in death by her husband of 63 years, Louis C. Buck on June 24, 2016; a brother, Robert Helsley; a great grandchild, Izrael Kirsch; and a sister, Kathleen Stilwell. A Funeral service will be held at 10 a.m. Monday, April 15, 2019 at St. John’s Church of Buckskin, 8260 E 900 S, Buckskin, IN, with Rev. Bill Reed officiating. Burial will follow in the St. John’s Church Cemetery. Visitation will be from 2 until 5 p.m. Sunday at Corn-Colvin Funeral Home, 323 N Main Street, Oakland City, IN and again from 9 until 10 a.m. Monday at the church. The family would like to extend a special “Thank You” to her home caregiver, Faye Freudenberg and also the staff at North River Health Campus and Heart to Heart Hospice, for their care and compassion. Memorial contributions may be made to St. John’s of Buckskin Cemetery Fund, 8216 E 900 S, Elberfeld, IN 47613. Envelopes will be available at the funeral home and the church. You may leave a message of sympathy or light a candle in memory of her at www.corncolvinfuneralhome.com. Corn-Colvin Funeral Home is honored to serve the Buck family.